The 790 RFID hotel lock for hotels is the result of many years of experience in developing highly effective Access Control Systems for the hotel industry. No detail has been overlooked. Quality is guaranteed. Using Contactless tags and read-write technology, the 790 Lock is the ideal solution to enhance the security of your hotel as well as increase operational efficiency. Hotel guests will appreciate the deadbolt protection, the ergonomic design and the easy-to-use card reading of the 790 RFID electronic locks. A standard Mechanical Key Override gives hotel management and security staff peace of mind. The RFID reader is ergonomic and user-friendly for hotel guests and staff alike and can be supported by the FDU (Front Desk Unit) or by the Web-based ATLAS system. Using RFID tags and read-write technology, hotel managers can track employee movements by auditing staff keycards. 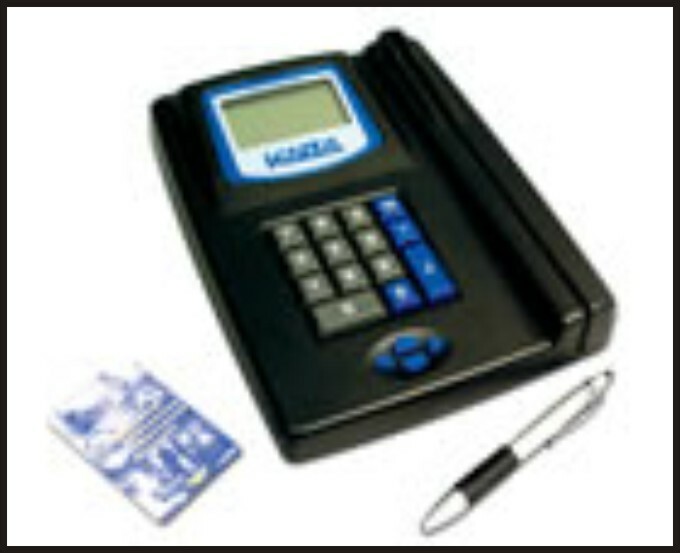 Also, security personnel only need an audit keycard to extract the audit trail from a lock. 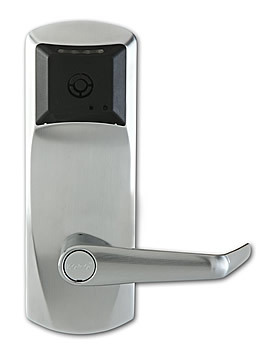 With multiple locking options (Mortise, Cylindrical Latch, European Mortise, Panic Bar) and Remote Access Controllers, the 790 electronic lock can secure every door in the hotel. Entrances, Exits, Elevators, Parking Gates, Amenities, Offices, Storerooms and many other access points can benefit from the high level of security that the 790 lock brings. All electronics and batteries are located in the front lock housing, so there is no need to disturb guests for maintenance. Software upgrades can be implemented on site, eliminating delays. A completely sealed contactless reader needs little maintenance. With read-write (Contactless Smart) RFID technology, staff movements are recorded on staff keycards which can be easily interrogated. Programming options allow for limited access to staff and guests in restricted areas or during specified times. Each lock keeps an audit trail of the last 400 transactions with can be easily downloaded onto a "Lock Audit Keycard". A standard mechanical key override gives hotel management and security staff peace of mind.